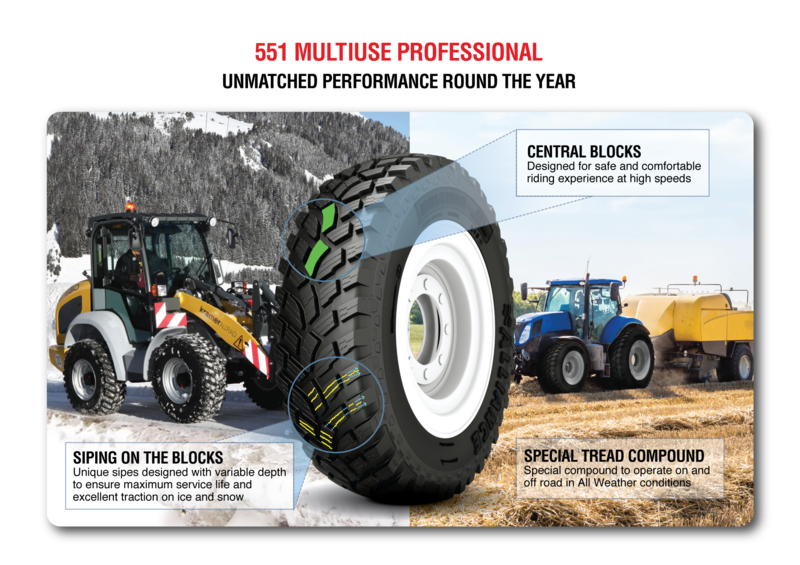 At SIMA 2019, Alliance Tire Group (ATG) will add another highlight its Multiuse tyre range: The “ice and snow specialist” Alliance 551 Multiuse Professional. Reliable traction and optimum road safety of vehicles used for winter services are crucial. 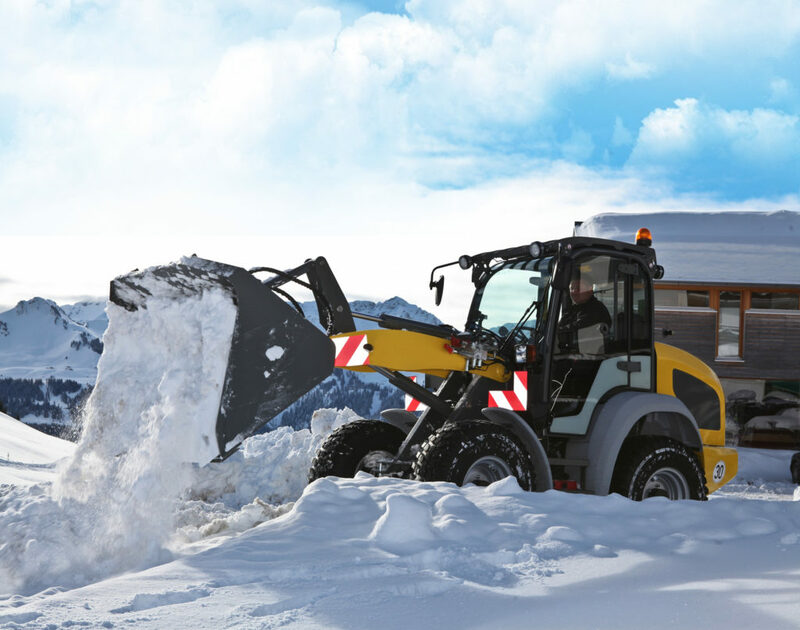 Under these circumstances, maximum grip is paramount for efficiently and safely clearing roads and walkways – and that is exactly one aspect that engineers at ATG had in mind when developing the A551 Multiuse Professional for machines such as utility tractors and backhoe loaders. 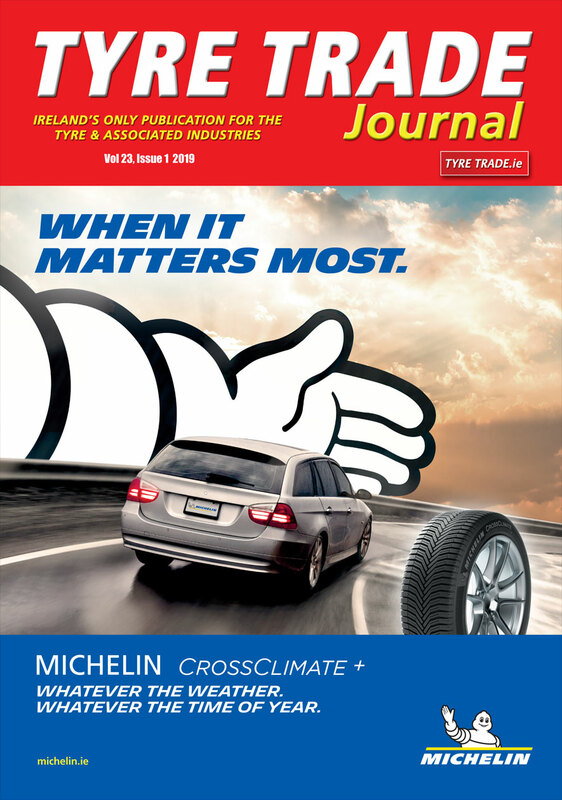 As the A551 is a true member of the highly versatile Multiuse family, however, it is not only a winter tyre but can equally be used, and reliably delivers, on all kinds of surfaces and in all seasons throughout the year. The brand new A551 Multiuse Professional features a special compound formulation and an intricate tread design, both ensuring excellent grip and traction when operated at low or even very low temperatures, and on ice, snow, or slush. The reliable grip of this tyre allows for predictable handling, thus increasing both road and operator safety by providing better control of the vehicle. At the same time, the A551 offers high driving comfort at speeds as high as 65 km/h. A special feature of the tread design are the sipes from the centre to the shoulder blocks which make the blocks more flexible and offer a “guided exit path” for ice, snow and slush from the tread. At the same time, the siped and flexible centre blocks ensure a safe and comfortable riding experience at speeds up to 65 km/h. 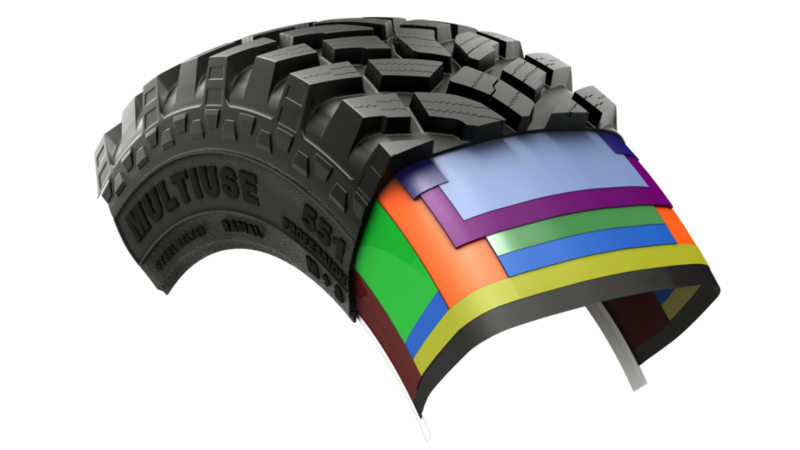 This particular tread design ensures a maximum service life as well as a low noise and vibration level. Due to the low rolling resistance, the A551 Multiuse Professional also markedly contributes to the fuel efficiency of the vehicle. In addition to the high quality compounds used, also the steel belted design of the A551 Multiuse Professional contributes to the tyre’s superior durability, puncture resistance, and stability. Eight sizes of this brand-new tyre are already available, including sizes 400/80R24, 400/80R28, 440/80R24, 440/80R28, 480/80R34, 540/65R30, 440/80R34, and 650/65R42. Further sizes, expected to be released in 2019, will include sizes 360/80R24, 420/65R24, 480/80R38 and 540/80/R38.